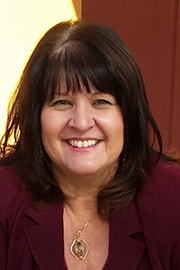 Robin Hoklotubbe retired in 2016 from the Santa Clarita Public Library in California. As the PR, Marketing and Special Projects Coordinator, she had the pleasure of organizing many author events and large scale special events at the library and then letting the community know about them. She served for 6 years on the board of California Public Library Advocates (CPLA) and 2 years as the board’s president. For 15 years, she served as an active committee member and board member of United for Libraries (UFL), a division of the American Library Association. Hoklotubbe was chair of the 2017 ALA/UFL Annual Conference Committee, and had the great pleasure of serving as special events chair of the 2017 California Library Association (CLA) annual conference. She is currently a special project manager for the CLA. She also serves as a director on the board of the Friends of the Corona Public Library and is chair of the author committee.